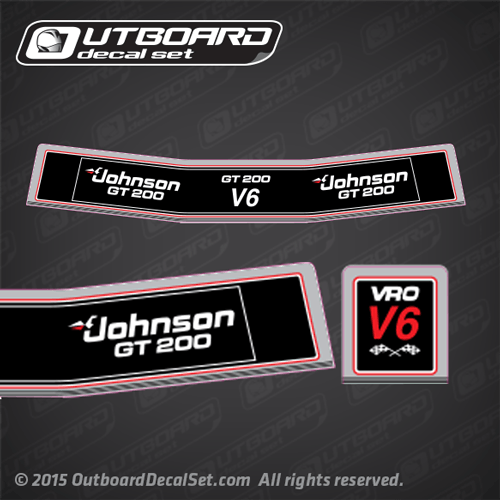 Johnson GT 200 V6 side decals that wraps around the engine. covering left to right including the back. One VRO V6 decals with the facing flags crossed.